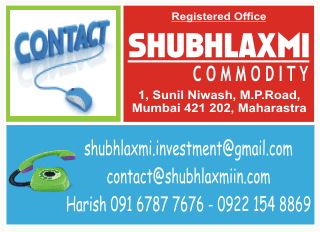 MCX lead is in a medium-term downtrend. Recently it formed a short-term pullback, which retraced nearly 50% of the previous impulse on the downside. 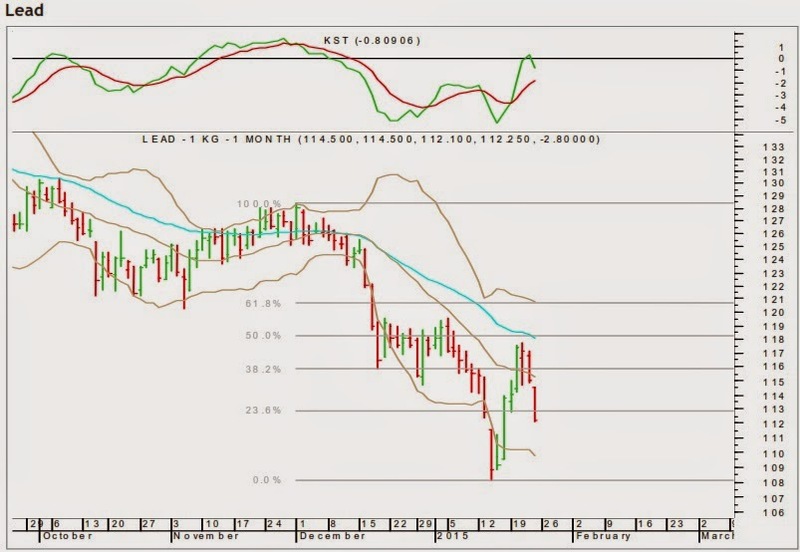 Near the key Fibonacci level the base metal faced resistance from the key daily moving averages. From thereon it has started its next leg down. The daily momentum indicator has completed its pullback cycle and is ready for a new cycle on the downside. 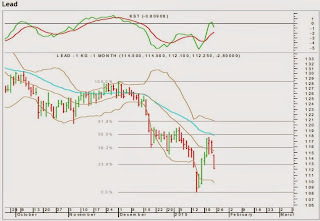 On the higher side, Rs.115.30– 117.80 will act as crucial resistances. On the downside lead is expected to test the low of Rs.108.10 with a potential to break the low.